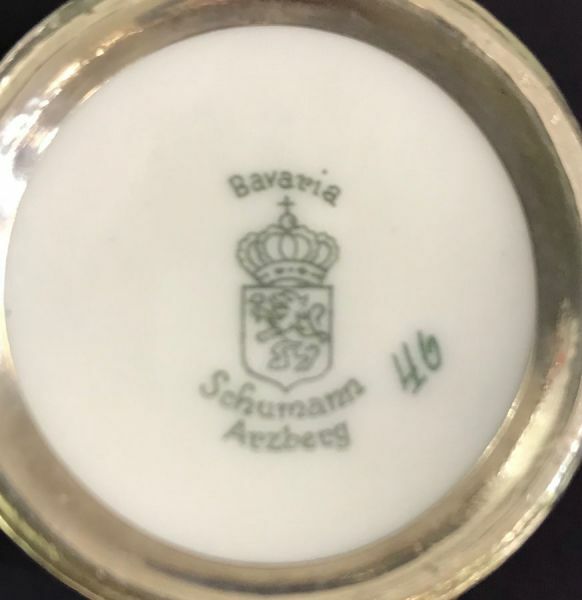 Schumann Bavaria porcelain 4 piece tea and coffee set, circa 1960. 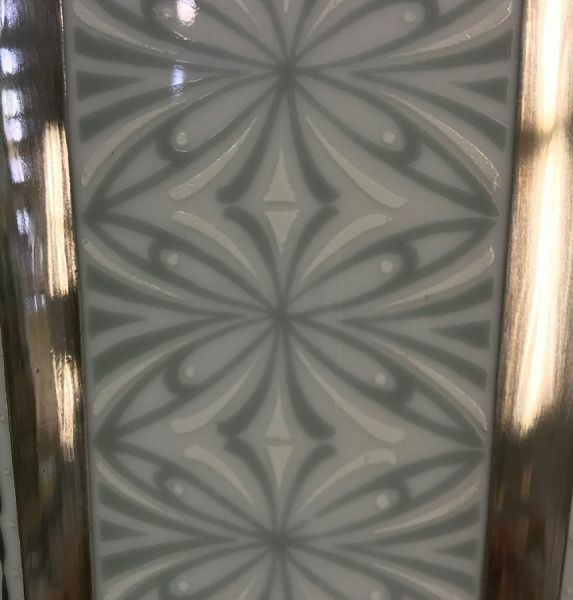 Silver overlay on white porcelain with bands of grey and white painted geometric florals. 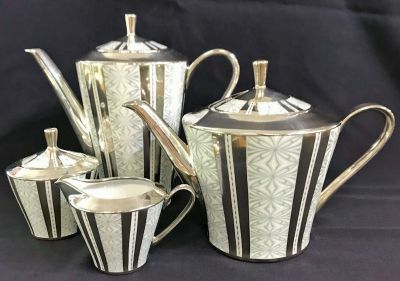 The coffee pot is 8 1/2” high.